Absolute Manifold Pressure (MAP) sensor 0,2 - 3 BAR (3 - 43 PSI) with linear voltage output (0-5V). Typical application: boost pressure measurements. 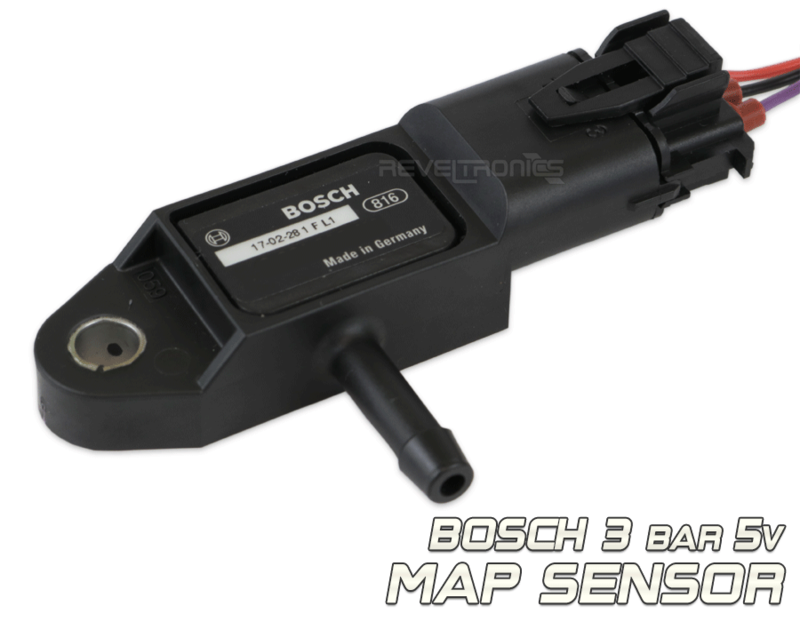 Absolute Manifold Pressure (MAP) sensor manufactured by BOSCH. Pressure range: 0,2 - 3 bar (3 - 43 psi) with linear voltage output. Working with automotive gauges and data-loggers (as a MAP sensor) such as UTCOMP & UTCOMP-PRO, AEM EMS, GReddy e-MANAGE, Motec, Stack, ACR systems, HRC etc. Waterproof connector is included with sensor. Requires +5V power supply. Output table can be found in datasheet. Ivan · 1 years ago.